A unique interactive experience that entertains your guests while building your database. 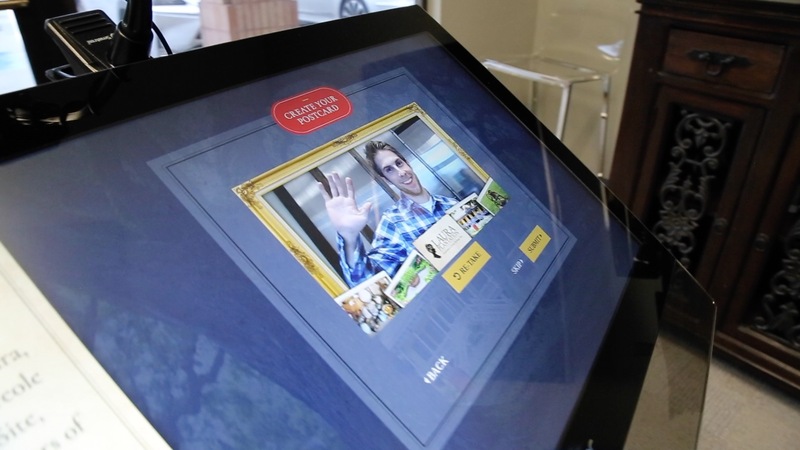 Interactive Guestbook is your newest marketing tool. Move beyond a paper and pen guestbook to a unique interactive experience that entertains your guests while building your database. 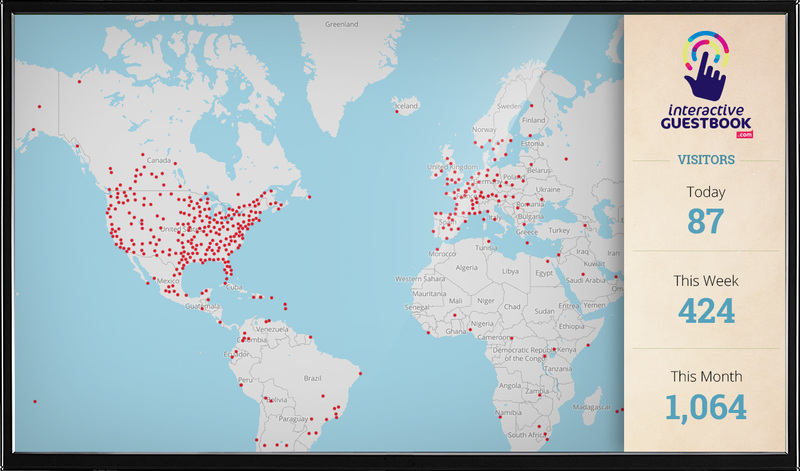 Interactive Guestbook is your newest marketing tool. Move beyond a paper and pen guestbook to a unique interactive experience that entertains your guests while building your business and increasing your visitor base. 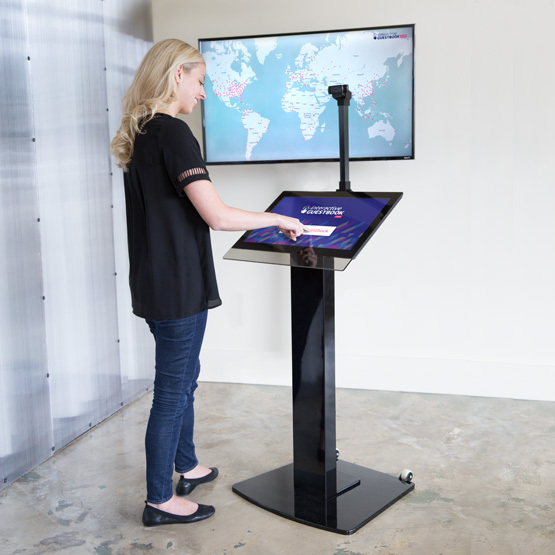 Interactive Guestbook is an easy way to digitally capture vital information about your visitors while they have fun using the kiosk. Our custom form-builder options allow you to collect only the information you want and access your data from anywhere. Visitors can create a digital postcard that they can share on social media while visiting. Create links to travel review sites—acting as instant brand ambassadors for you. Interactive Guestbook can make money for you. 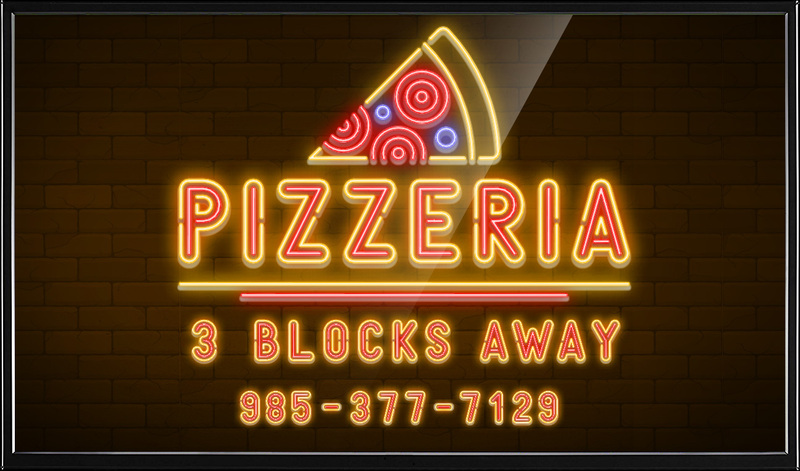 Sell rotating ads to nearby businesses or use them to promote your own upcoming special events, exclusive gift shop merchandise or concessions. It’s easy to use the data you’ve gathered with Interactive Guestbook for marketing and sales. Reach out to your visitors with email newsletter, special bounce back offers and more. There’s nothing else on the market like Interactive Guestbook. We're on-site and working for travel and tourism destinations across the nation. Hurry and reach out to us…before your competition does. 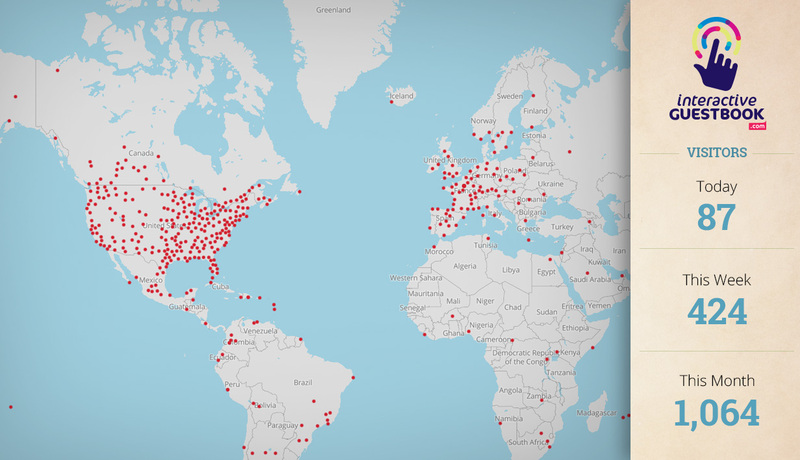 Show the reach of your attraction with our interactive map feature. Guests drop a pin to show their hometown and instantly appear on the map. 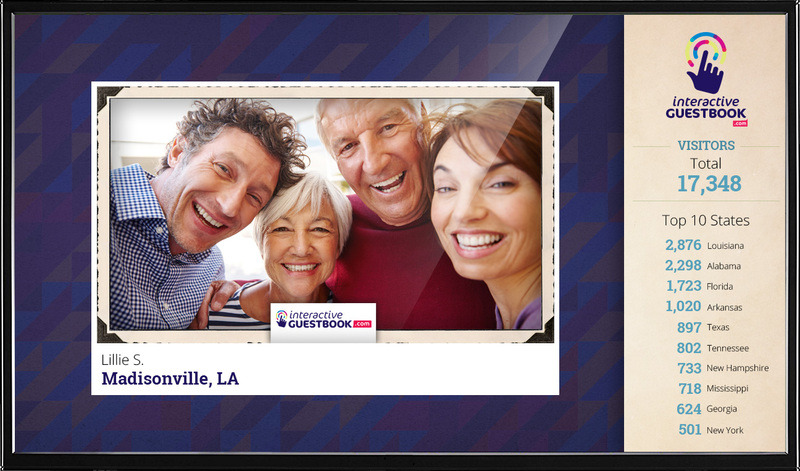 Your visitors can snap a picture, choose a custom-designed photo frame and receive an email with their souvenir postcard. It’s a free and easy way for your visitors to share their experience. Monetize your Interactive Guestbook with ads from nearby businesses or use the ad view to promote your own upcoming events, exclusive gift shop merchandise or concessions. 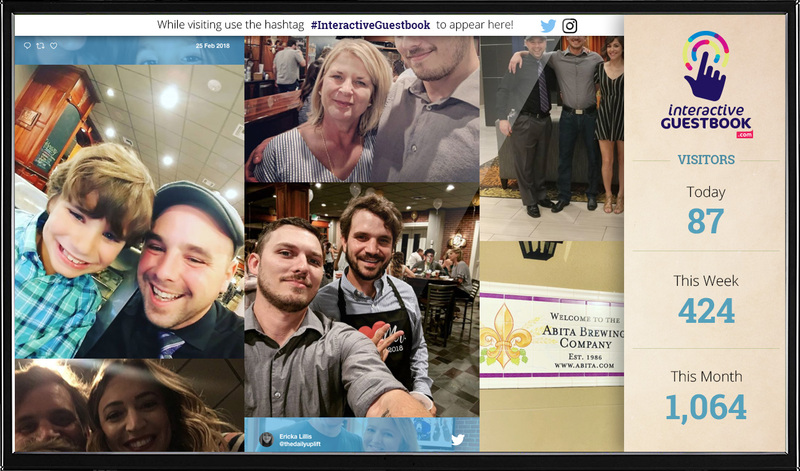 Invite your guests to use your special hashtag when posting on social media and it will populate a live-stream collage of photos from your location. © 2019 - Interactive Guestbook, a product of People Who Think, LLC.